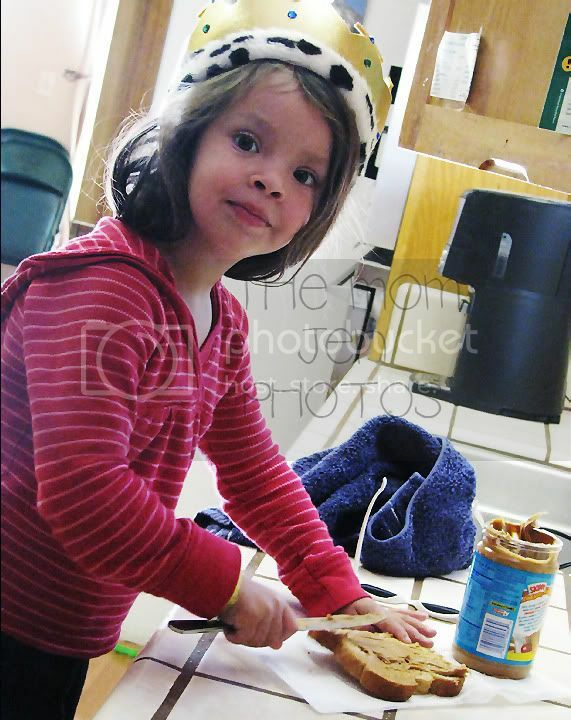 Yesterday, 2009--My littlest looks so big here. "I do it myself" is her favorite line, and here she is making her own "peabudduh sammich" with crown and all. If you look close, you'll see she took off her snazzy sunglasses so she could see. Want to join me in A Thousand Words Thursday, read and grab my button from HERE. Then write in your name and the URL(permalink) in the new Simply Linked below. 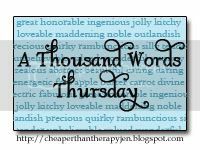 Please link only to "A Thousand Words Thursday" posts, and check out all the other participants and leave them some love! How Cute! Loooooooove the crown! She does look all grown up. The crown is awesome! What YOU don't wear YOUR crown when you are in the kitchen? I love that she is wearing the crown! And I am impressed that she is making her own "sammich". I am happy that my son is content making pretend "sammiches" for now! Very adorable! Every princess still needs a few kitchen skills! Who knows when she'll be hungry and the kitchen staff are gone for the night! So Cute! I bet she was super proud. How cute! I love the crown! PB is the best! Gosh, she's a cutie. I love it!